Even though scientists claim 60 is the new 40 in part because of healthy living and medical breakthroughs, aging turns us from a well-oiled Corvette to a Model T Ford with creaks and groans. According to the Census Bureau, the baby boomer population - 78 million strong - will be over the age of 65 by the middle of the century. This means that 1 in 5 Americans will be a senior citizen - the largest group of older citizens in American history. With such a turn in demographics, it poses a challenging question for policymakers and behavioral health care professionals: how to take care of the aging population. More importantly, this population of aging Americans in particular are experiencing upward trends in substance abuse disorders. Alcohol is the most widely abused substance for Americans over the age of 50 while illicit and prescription drug use has spiked in recent years. In fact, elderly adults are hospitalized for alcohol problems as often as they are for heart attacks, according to the Champion Center - a treatment center for the elderly. These two forces - the greying of baby boomers and an increase in alcohol and other drugs amongst this group - are merging together and creating one of the fastest growing problems in our country. There are a number of cultural trends, human behaviors, and gaps in the healthcare system that have contributed to the rise of alcohol and other drug abuse amongst the greying population. Aging adults experience life changes (sudden and otherwise) such as children growing up and moving away, death and loss of loved ones, and physical health issues (chronic pain, hip/knee replacements, etc.) that compound over time. If movement and change are the precursors to growing old, it’s no surprise the aging population is vulnerable to addiction. However, it must be noted that the majority of the aging baby boomers who are admitted to treatment centers for substance abuse have been using illicit substances since their 20s and 30s. Now that they are in their 50s and 60s, they can no longer physically and mentally handle the effects of the substances on their bodies and must seek out treatment. First responders noticed this trend during medical emergencies because up to 14% of elderly emergency room admissions are due to alcohol or drug issues. “I think there is a tremendous denial that life is impermanent and we’re not going to be here forever. So we [baby boomers] continue to live like we’re in our 40s when we’re definitely not,” writes Patrick Arbore, the founder and director of the Center for Elderly Suicide Prevention and Grief Related Services at the Institute on Aging based in San Francisco. The effects of illicit drugs and alcohol on aging individuals are particularly harmful because they can interfere with other common ailments like diabetes and depression, injuries can be much more severe, and these substances can cause problems when taken with other medications. With such complications, healthcare providers may be less inclined to encourage treatment options. For example, an older patient who can no longer drive or walk up-stairs may not be encouraged to attend Alcoholics Anonymous meetings. These issues raise questions about proper methods of treatment and efficacy in this population. And with 50% of people in nursing homes having alcohol-related issues, this is clearly an issue that is not going away. Shame and stigma play a role - relatives of aging individuals with a substance abuse disorder often times avoid the issue or dismiss it with a different quality of life standard for older individuals. “Grandmother’s cocktails are the only thing that makes her happy,” is a common way of explaining the problem according to the National Council on Alcoholism and Drug Dependence. These same assumptions and trends even affect elderly individuals who are experiencing death and loss, whether it be a spouse or friend or other close family member. In fact, widowers over the age of 75 have the highest rate of alcohol addiction in the United States. And some - clinicians and families alike - even see treatment for addiction in the aging population as a waste of resources. 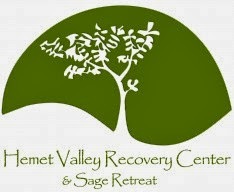 This issue has come forth in the treatment facility community. For instance, entering a quick search for treatment facilities in your area will yield very few results for services that specialize in treatment for an individual over the age of sixty. Even though there is evidence showing upward trends of substance abuse in the aging population, the issue remains largely invisible and goes underdiagnosed and undertreated, according to the National Center for Biotechnology Information on Substance Abuse Among Older Adults. The issue remains invisible because of the aforementioned misdiagnoses and cultural assumptions, as well as a lack of awareness. For example, a patient with a knee or hip replacement will take prescription opioids and could potentially develop an addiction. What started as a genuine pain management plan - compounded by life changes, other bodily ailments, genetic predisposition, etc. - turns into a serious problem. Add in the spiking opioid addiction problem due to overprescribing - 30% of prescriptions are for people 65 years of age and older - and it becomes clear this is an issue affecting millions of aging Americans. Lastly, social workers, doctors, behavioral health care professionals and caregivers may shy away from asking elderly patients if they use alcohol and illicit substances. “I don’t think service providers are used to asking someone age 65 if they’re using illicit drugs. We need to make sure they are trained to ask,” says Patrick Arbore. There’s an assumption that aging Americans have passed this stage in their life. However, the only way light is shed on this issue is when caregivers are properly trained in this area so that direct and honest care is given. One of the key ways to highlight the issues surrounding the aging population and substance abuse is through teams of trained medical professionals. Social workers in particular with their person-in-environment ecological approach are well suited to take the lead in designing interdisciplinary multi-modal teams trained in reducing the risks associated with aging and substance abuse disorders. Additionally, social workers can educate patients and clients as well as provide guidance to care providers on a wide variety of treatment options to serve the growing need. Treatment facilities, likewise, need to be visionary and vocal in the healthcare community about expanding resources and treatment options available to this population. If you or an elderly loved one is experiencing addiction, it starts with recognizing this as a problem and seeking out the proper help. Treatment centers offer general support groups for all ages as well as peer groups for age-specific treatment options tailored to address many of the issues discussed above with the aging population. There are also Self-Help and 12- Step age-specific groups available, which help prevent relapse and play an integral part in support for long-term recovery. Roger Porter has two Bachelor degrees, film and marketing, from the University of Texas at Austin. He works in the entertainment industry, writes screen plays and coverage.